Golden hour in the town centre. 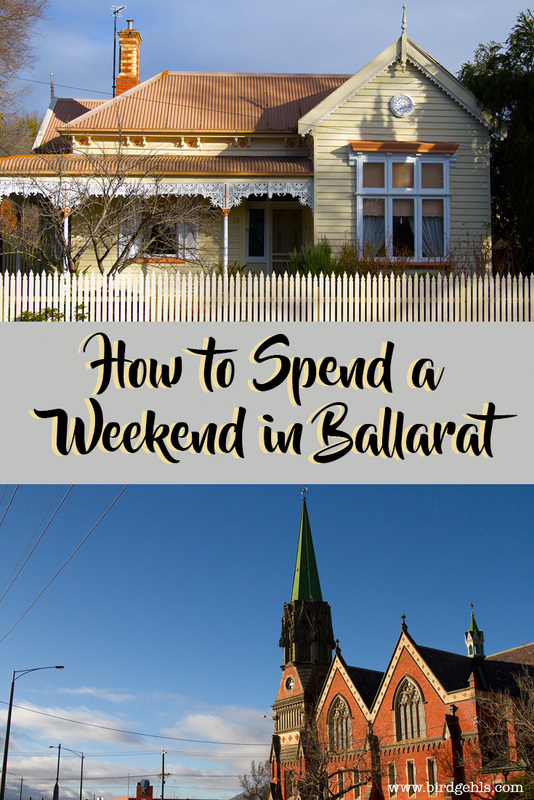 Ballarat is a regional city that is a stone throw away from Melbourne (okay, it’s actually 100 kilometres, but in Australian terms that is nothing). 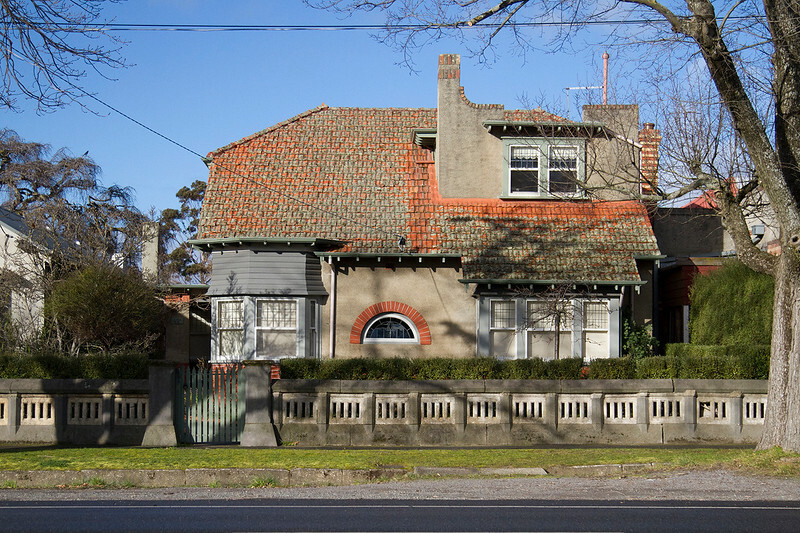 As one of Victoria’s most historic towns, it’s a popular destination for Melbourne locals and tourists alike. 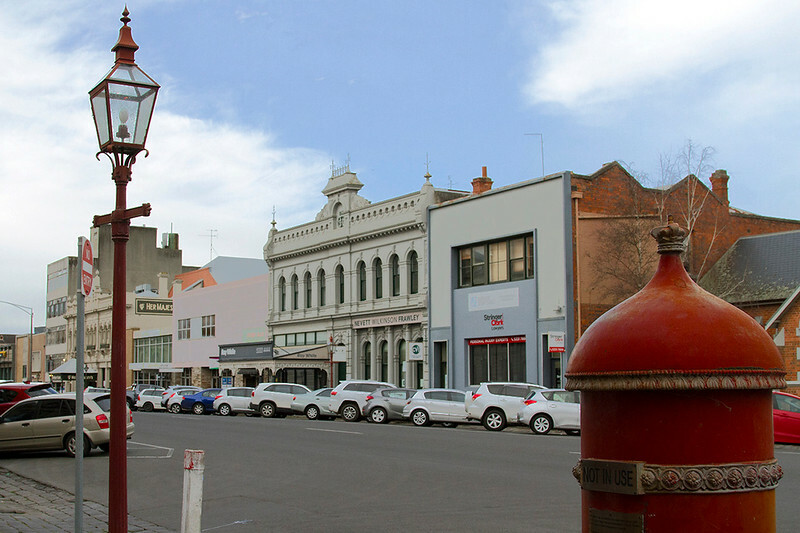 Ballarat is more than just an escape from the hustle and bustle of Melbourne life. It’s a place that is pulsating with culture and history – good food and great wine and some of the most gorgeous architecture you could ever hope to see in your life. I’m prone to hyperbole, but by jove, this town is gorgeous. You’d need several days to do the place justice, but you’d easily be forgiven for making a weekend trip. 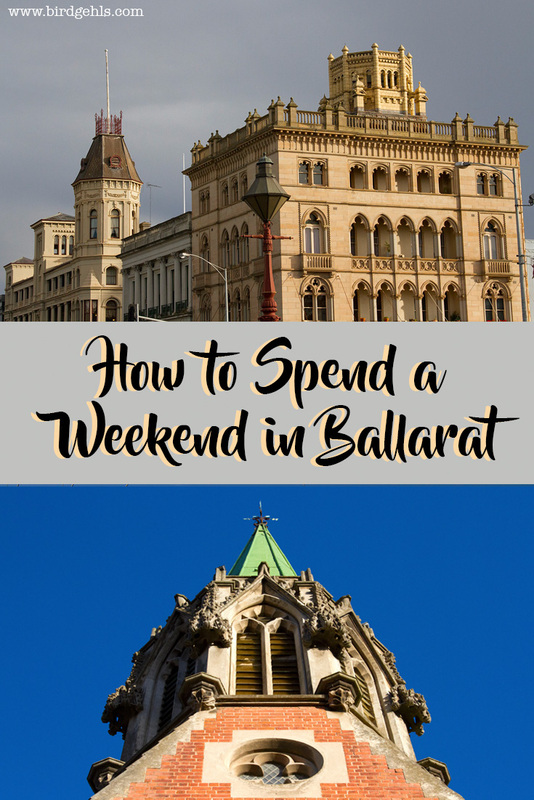 Here’s what to do in Ballarat if you’re there for a good time, but unfortunately not a long time. The inside of the building was as nice as the outside. Hot tip number one – time your visit well! I don’t much like travelling anywhere in the country/world during the summertime as heat is blergh and all the little darlings have been released from the confines of their schoolyards, bouncing around on inevitable sugar highs. This is why I’m so glad I chose to visit Ballarat during its Winter Festival. Although it was the last weekend of the month long winterlude, the was enough going on to keep me busy. I briefly ventured into a wine tasting event, while thinking is it weird to attend this sort of thing on my own? My initial thought was “yes, a little bit” but after you’ve had a few glasses of vino, you truly stop caring. Love the old-timey street lamps and post boxes. As a film-geeking theatre nut, I will travel to any destination that has a neat cinema or heritage-listed theatre showing something good. 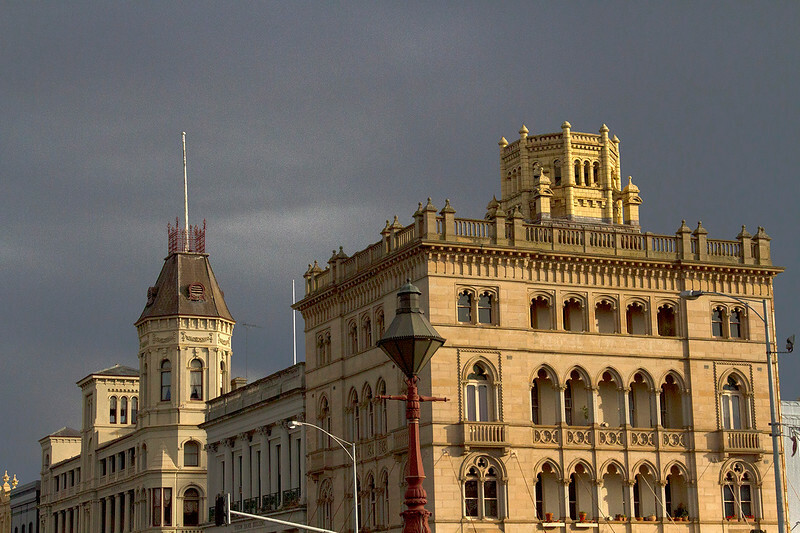 Ballarat happens to have both these things – the Regent Cinema and Her Majesty’s Theatre are both gorgeous old buildings that stopped me in my tracks. I stared longingly at them each for quite sometime, wiping the drool off my chin before moving on. I unfortunately didn’t have enough time to catch a flick, but I had a ticket previously booked to HMT, for one of the opening performances of The Exotic Lives of Lola Montez. 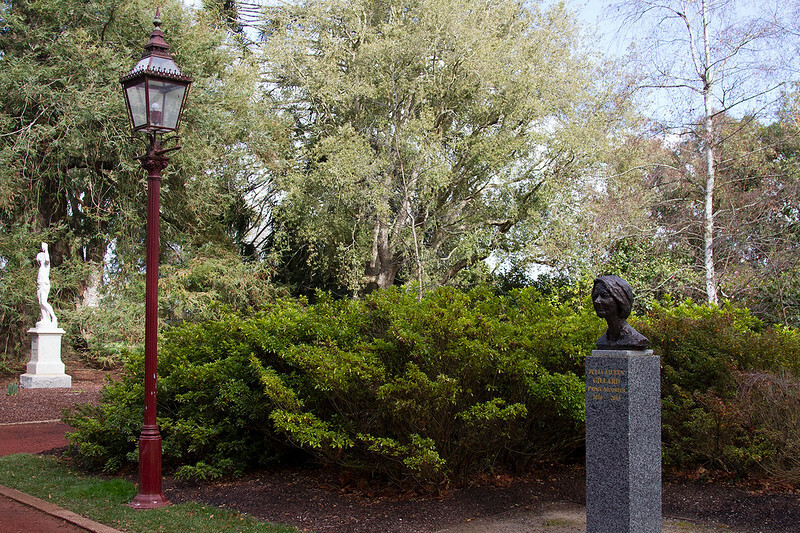 Montez was an Irish performer who was considered quite scandalous for her time, who journeyed out the Goldfields to perform shows across the region. One of the many churches littered around the town. Oh wine, how I love thee. My mini-wine tasting tour in town was an excellent introduction to the wines of the Pyrenees region. If I had a car and a friend who didn’t drink, I would definitely happily spend a day driving from winery to winery, sampling the region’s finest. Unfortunately, I have no car and all my friends are boozehounds, so that option is off the table. In all seriousness, Australian wine is seriously underrated, so long as you stay far, far away from Yellowtail and Jacob’s Creek. Victoria in particular has a hip, hop, happening wine scene – I’ve yet to head to any wine region in the state and return without at least two bottles of red in hand. The conservatory at the Botanic Gardens. Julia Gillard represented on Prime Minister Avenue. How good are gardens and flowers? 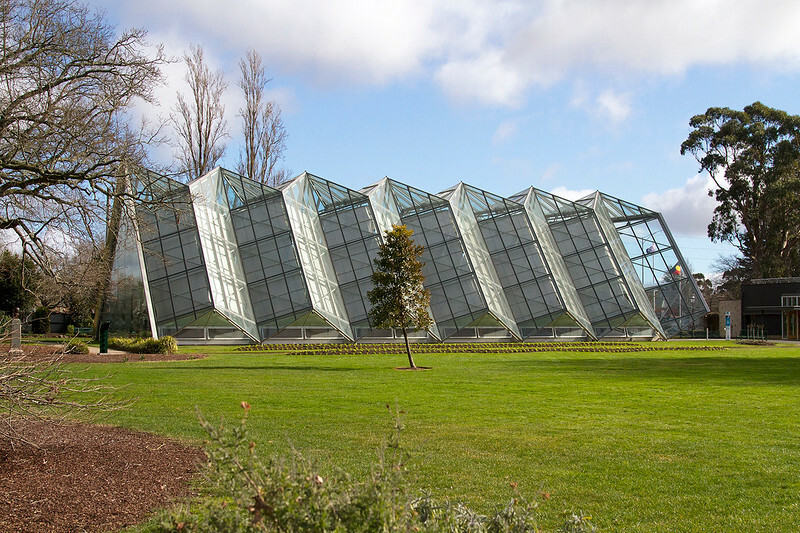 Pretty good, but even better in Ballarat, because you can venture out to their gorgeous Botanical Gardens and learn a little bit about Australia’s political history! And who doesn’t love politics? Especially politics in this country, because they are utterly ridiculous. – our first Prime Minister. – who disappeared whilst swimming at a beach in the 1960s. – a revolutionary PM, who led the Labor Party to power in 1972 and was dismissed from office three years later (for basically being too forward-thinking). – our longest serving Prime Minister, of 18 years in total. – the most popular PM in Australia, who once set a world record for sculling beer (truly a man of the people). – Australia’s first female PM, elected in 2010. The houses are very unique. 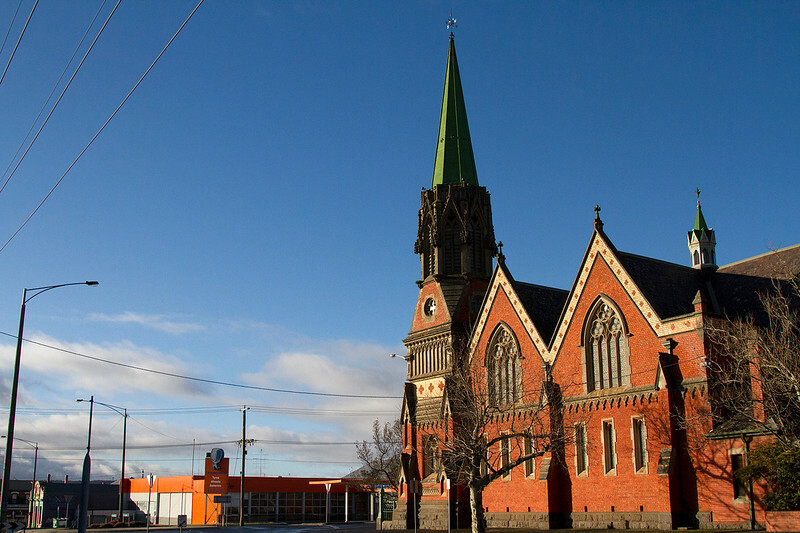 I thought housing in Melbourne was stunning, but then I travelled to Ballarat. 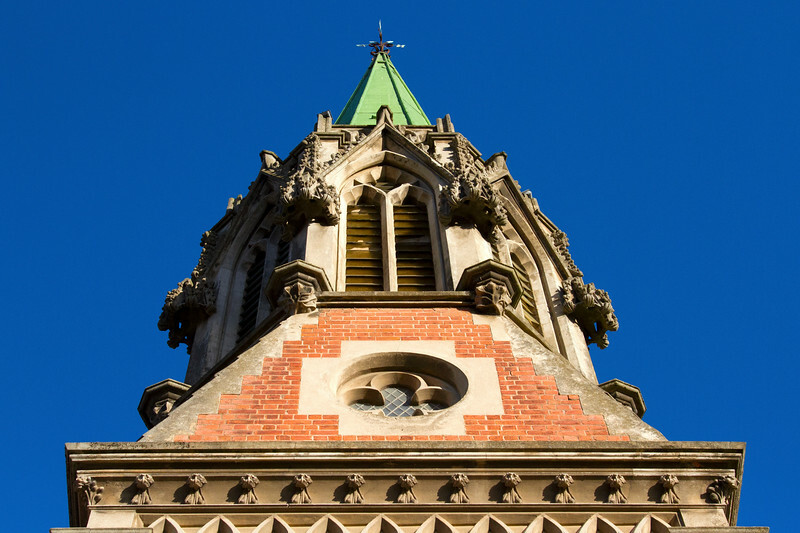 Holy, moly are there some beautiful buildings in this city, or what? I had a great time wandering around, snapping photos of buildings and trying to decide which house I would like to live in one day, if only I had the funds. Hey, a girl can hope and dream. This way to Sovereign Hill. So, confession time. Sovereign Hill generally takes out the number one spot in any “fun things to do in Ballarat-esque” list… but I didn’t go there. As a childless twenty-something venturing to the regional city solo for 36 hours, without a car I decided that it probably wasn’t worth the effort, for me at least. Plus after walking to the Botanic Gardens and most of the way back, I was all tuckered out. So, I decided to save it for a return trip. 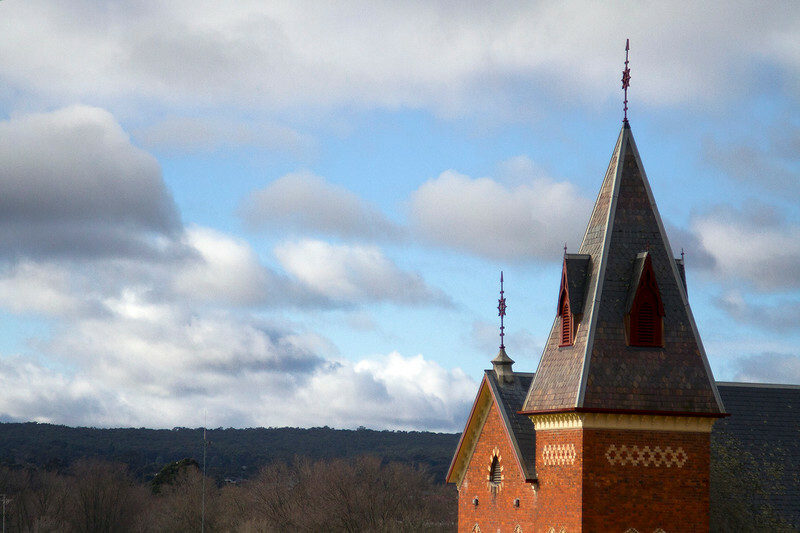 For anyone who is reading this and asking themselves: “What the heck is Sovereign Hill?” (being from NSW, I initially asked the same question), it’s an open-air museum that depicts the town of Ballarat during the Gold Rush era. 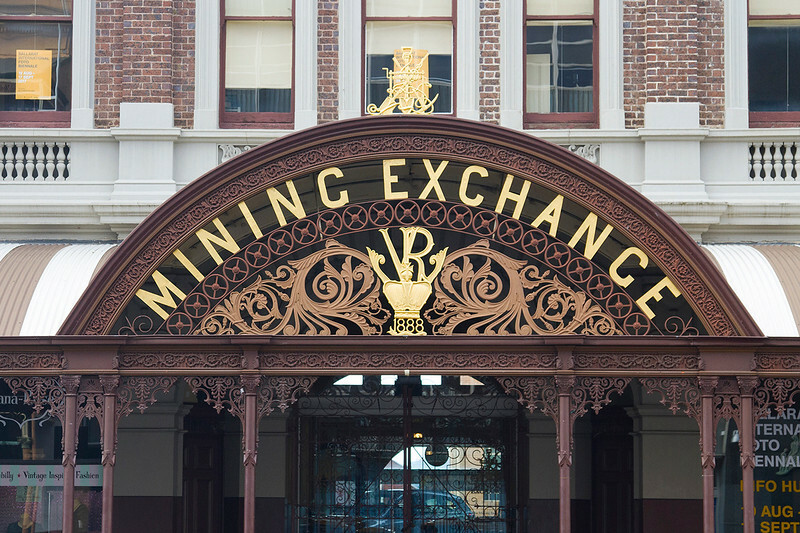 It features a replica of a gold mining town, filled with costumed actors and visitors can go panning for gold. Perfect for families… maybe not so much for a lonely woman! 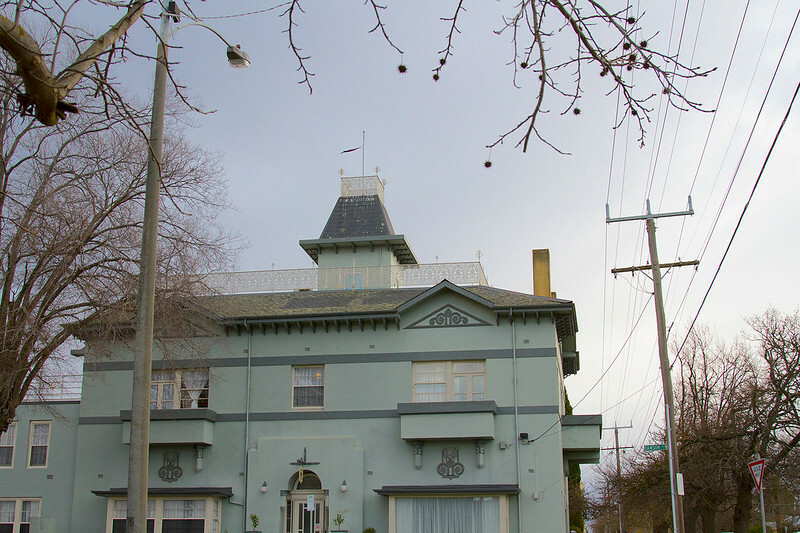 I booked a last minute room at the Ballarat Central B&B (yep B&B, not Airbnb). It was a beautiful building, restored by the hosts over a five year period and I was enamoured with it the moment I walked through the doors. I stayed in a single room and spent a lovely night snuggling under the doona with the heater on (it was the dead of winter, after all!). There was free Wi-Fi and breakfast included in my booking. It was however advertised as a continental brekky, which I’ve understood to include things like cheese and pastry, rather than just some toast and a box of cornflakes. If I’d paid for it separately, I would have been a bit miffed. However, all in all it was a lovely place to stay and only a ten minute stroll into the city centre. Click here for current availability. 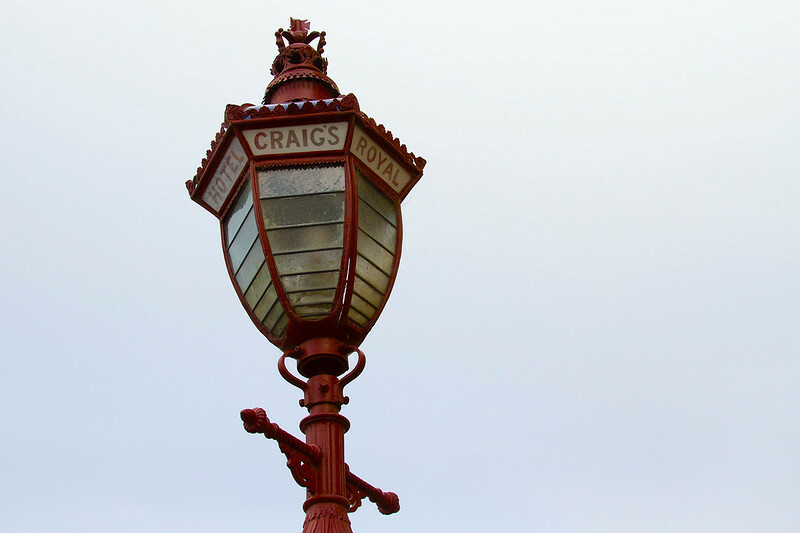 Craig’s Royal Hotel is so fancy, it gets its own street light. So, what do you reckon? 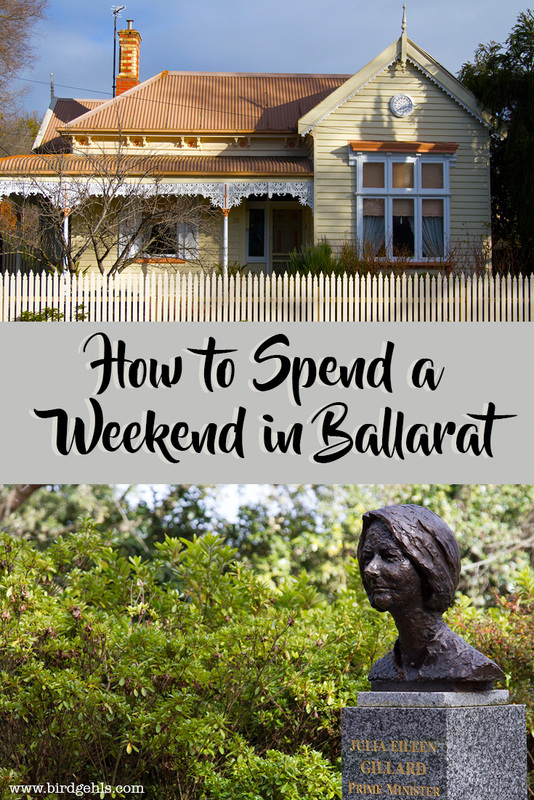 Would you be keen to spend a few days discovering Ballarat? Please note that this post contains affiliate links, which help with the running of this site and keep me fed and therefore not hangry. Thank you! I think it would have definitely improved! I feel the same way about my university town… it’s so much cooler now than it was a decade ago.